Our annual FAIR report 2017-2018 was published on 29 November 2018. 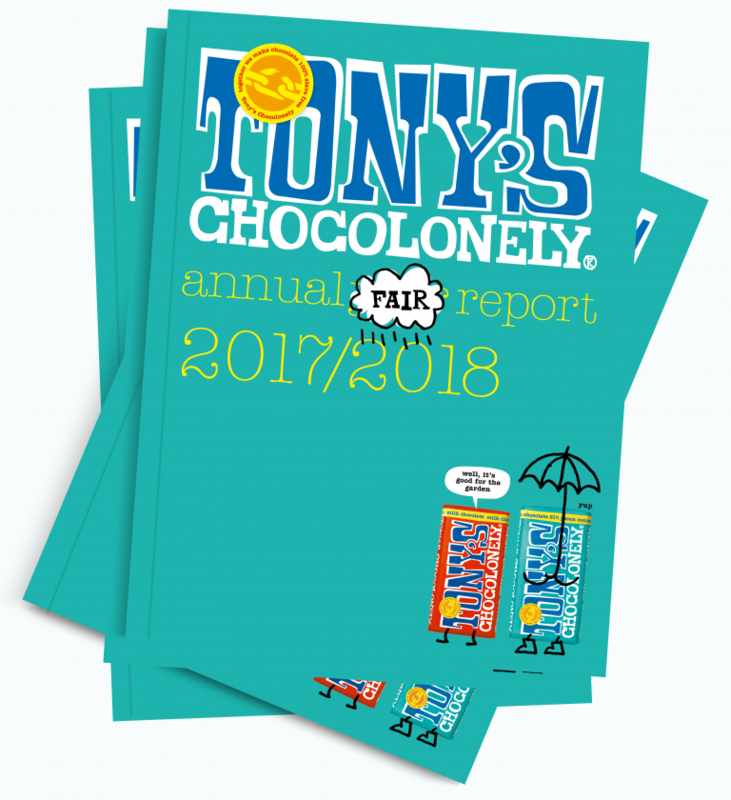 A lot has happened at Tony's and in the chocolate arena over the past fiscal year, which ran from the 1st of October 2017 to the 30th of September 2018. The blocks below reflect the previous book year and will be updated soon. Ready to read more? Click below to open the entire report 2017-2018 and read it all! Holy moly! Our Classic family just can’t stop growing. Welcome to two newcomers in our range: white and white with raspberry popping candy. The cocoa beans in our cocoa butter have been 100% traceable since November 2016 so these white chocolate varieties actually have traceable cocoa butter in them. Alriiiiight!